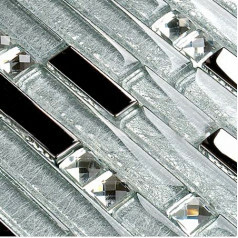 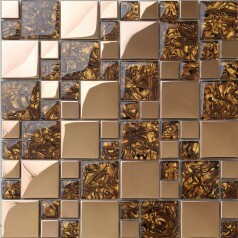 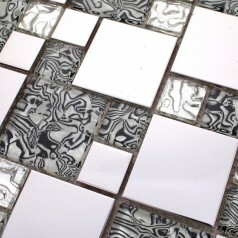 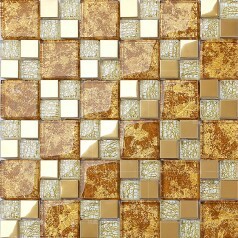 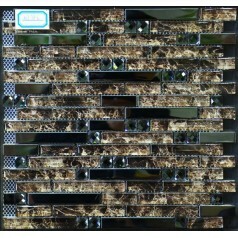 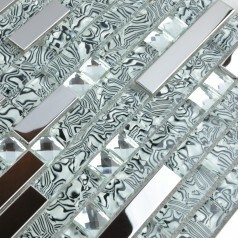 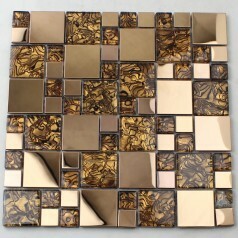 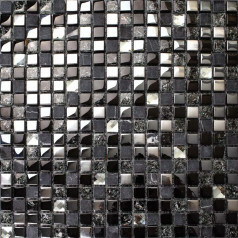 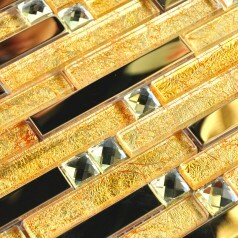 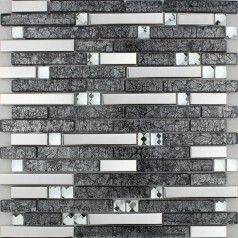 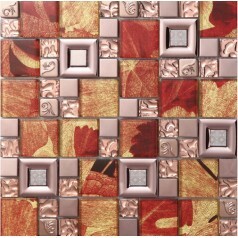 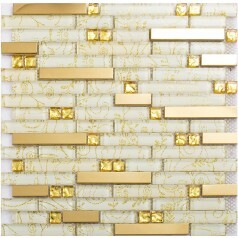 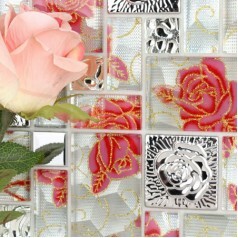 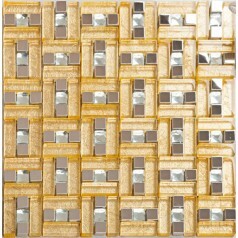 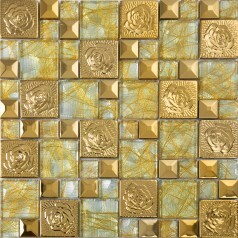 Glass metal tiles are designed based on glass tiles. 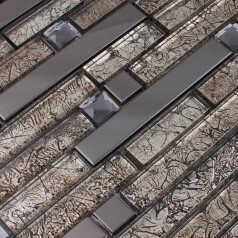 When adding metal chips in, it makes the tile stunning. 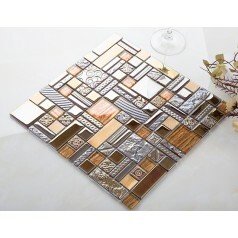 Generally, the metal chips are made of stainless steel, copper, and aluminum alloy. 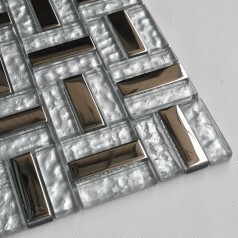 High quality metal will not get rusty. 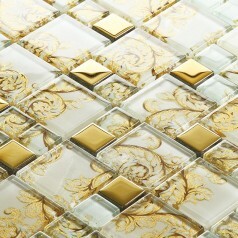 The glass chips are also new designed which may have stone marks printed on back or wave effect on finish. 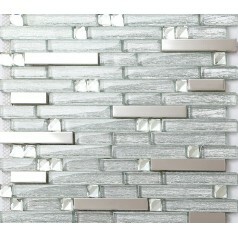 All the tiles are mesh mounted that can be easily cut during installation. 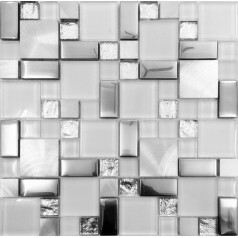 The tile has wide-use for kitchen backsplash, fireplace deco, bathroom walls, shower walls, countertops, bath mirror deco and so on. 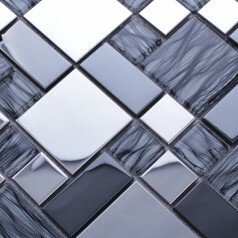 Glass and metal tile work together in combination to add artful design to many areas of the home and commercial applications. 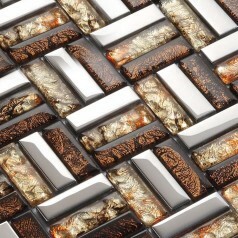 When you apply a variety of textures and colors side by side, they create a new dimension in that area that is unique, warm, and inviting. 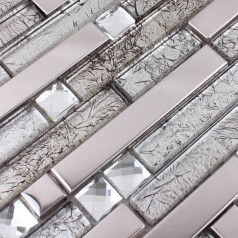 Turn a tired looking ordinary kitchen backsplash, bathroom backsplash, wall into a special place to be with the addition of bright stylish and colorful glass and soft toned metal tiles. 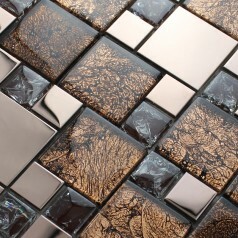 The blend of colorful shimmering glass combined with the look and feel of metal creates an intriguing visually stunning surface. 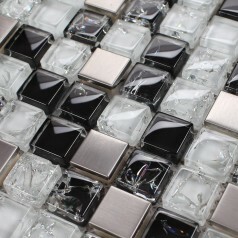 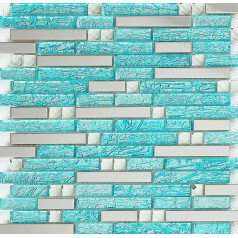 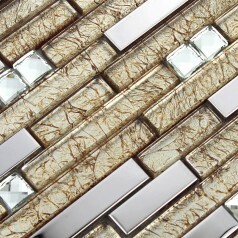 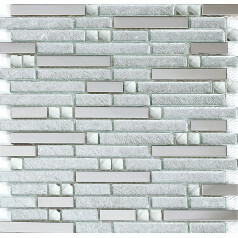 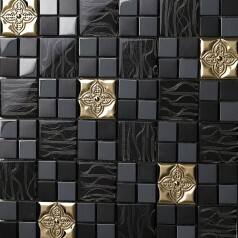 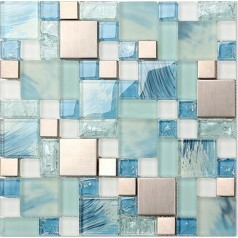 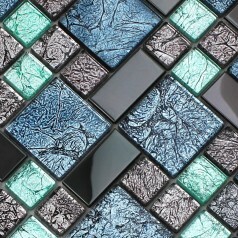 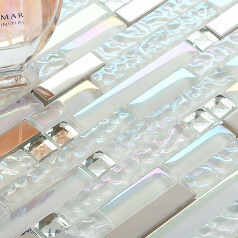 Glass and metal tiles can enhance a wall or counter-top or be used as border trim that follows a long hallway. 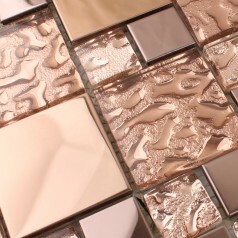 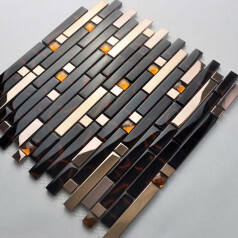 Antique copper, bronze, stainless steel or aluminum metal tiles used along with glossy, iridescent or frosty glass tiles can dress up your commercial design, new home or remodeling project.